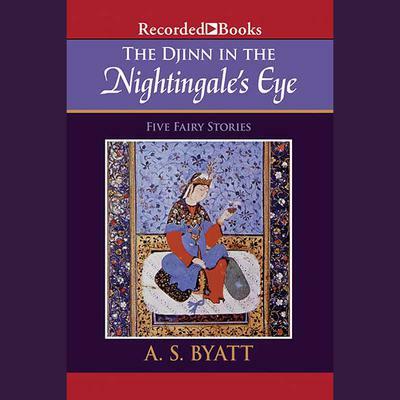 Glowing with narrator Virginia Leishman's finely tuned phrasing, The Djinn in the Nightingale's Eye is the perfect introduction to A.S. Byatt, an author who continues to receive international awards and acclaim. Her wondrous fairy tales are iridescent stories full of spells, marvelous creatures, and beautiful princesses. The title tale focuses on Dr. Gillian Perholt, a narratologist. The sturdy, middle-aged scholar travels the world, speaking at international conferences about the art of storytelling. She immerses herself in the study of fabulous, archetypical heroes: patient Griselda, lovely Scheherazade, brave Gilgamesh. But when she is given the fairy tale's three wishes-chances to alter her own story, the choices she makes are both timeless and surprisingly unique. A.S. Byatt, whose imaginative novels sparkle with layers of imagery and drama, focuses on the magic that is created each time a storyeller speaks. The five stories that comprise The Djinn in the Nightingale's Eye are as fascinating and finely crafted as ivory puzzles.